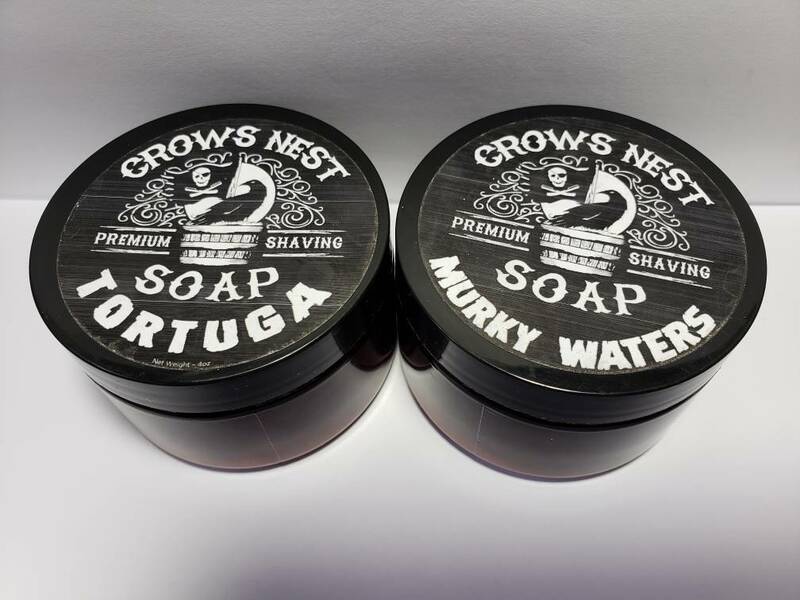 For sale are two of the Crows Nest Premium Shaving Soaps: Murky Waters and Tortuga. The Tortuga is new and unused. The Murky Waters was used once by scraping out a sample with a wooden spoon. Both of these have been out of stock for quite some time and may not be made again. Tortuga is described as "The Captain's blend of Cuban tobacco, amber, spices, cherry, and clove." Murky Waters is described as" Swirling together in a dark pool are tones star anise, cinnamon, wood, and amber. " 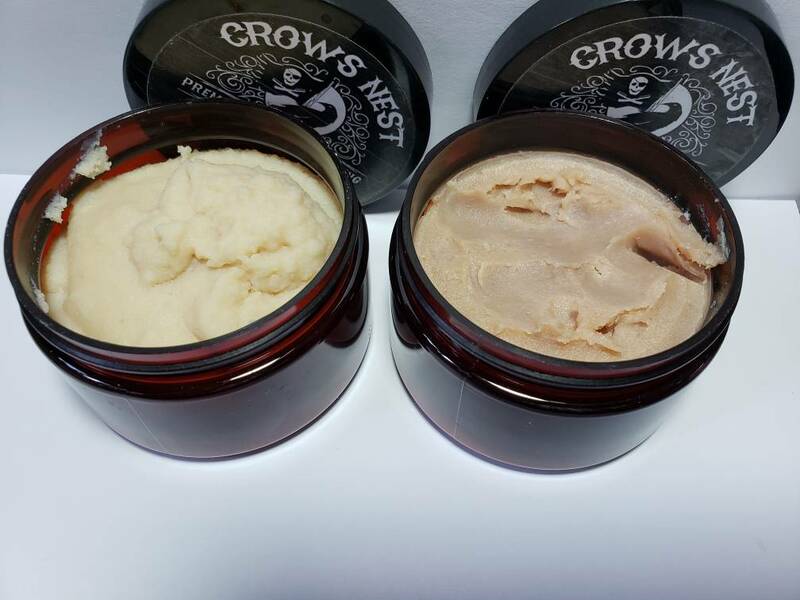 Both soaps are made with 100% grass fed beef tallow. Excellent soaps!! Hope someone jumps on these!